Cooling fan wheel that cools the users while working out. Electronic meter displays time, distance, calories burned, speed and scan. Manual tension knob for strength adjustment. 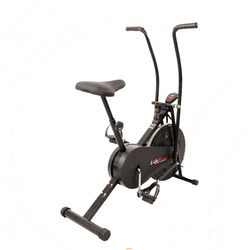 S And T Welcare Equipments Pvt Ltd - Retailer of commercial, home use & Mini Exercise Bike. Our organization has successfully expanded its business in market owing to the offered elevated quality range of Commercial Treadmill. We are engaged in manufacturing and supplying a vast range of Durable Exercise Bike that are made from optimum quality raw materials. 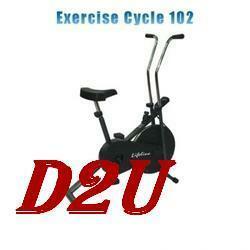 These bikes help us in making the exercise most comfortable and pleasurable. With the help of these bikes we can perform exercise in homes instead of doing in the open field. We stringently observe the quality of these bikes before delivering them in the market. Enjoy a bicycle like exercise by using your exer-PEDAL - mini bike, while sitting in your favourite chair, on the side of a bed or in a wheel chair. It can also be placed on a table in front of you to exercise your arms and upper body.